On the back of soaring apartment approvals, the Sydney Olympic Park Authority (SOPA) has released another development site in the central hub of Homebush. The 3,000 square metre site is large enough to house a 30-storey residential and commercial development, along with extensive underground parking. Located on the southern end of the Sydney Olympic Park’s urban core opposite the Aquatic Centre, the new high-rise development is set to wow future residents. Once a developer has been chosen, it is expected that construction on the new 30-storey apartment and office tower will begin at the beginning of next year. Completion of the tower by 2019 at the latest is dependent on a number of factors such as finding the appropriate production team and ensuring a schedule is kept. Urban Taskforce Chief Executive, Chris Johnson mentioned that in January alone there were 2,754 approvals for higher-density homes in NSW – further demonstrating the need for this project to go ahead. “This is the highest number (of approvals) in New South Wales for over 30 years,” Mr Johnson told The Australian. 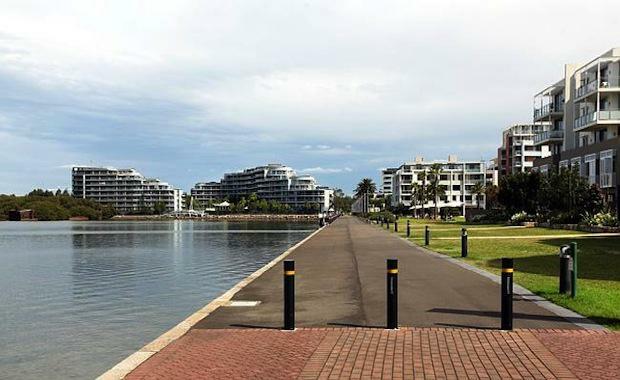 The newly anticipated site is a part of the Sydney Olympic Plan Master Plan 2030. There are currently more than 19,000 residents, students and workers living on the site, which makes the new arrival an exciting addition.